K.A. 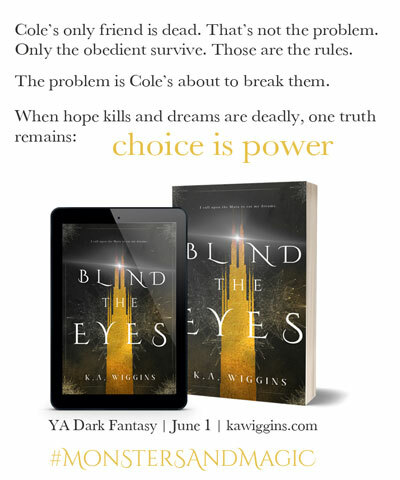 Wiggins writes YA Fantasy with an edge for ages 14 and up. Join today & get the free sneak peek ebook PLUS the YA dystopian-meets-PNR alt-prequel novella UNDER! Plus behind-the-scenes updates, giveaways, and other exclusive content on a semi-monthly basis.